RSS, or Really Simple Syndication, is a technology used by modern day CMS ( Content Management Systems) to syndicate content quickly and automatically. Common uses for RSS feeds are blogs that publish news and personal essays, podcasts, and other rich forms of media (pictures, audio, and even video). RSS utilizes XML ( Extensible Markup Language) for maximum compatibility between operating systems and platforms. In simplest terms. a human being can "subscribe" to an RSS feed to receive timeline updates from blogs and podcasts. For blogs, an RSS news reader is required in order to read and stay up-to-date. For podcasts, it's even simpler: podcast apps utilize RSS as they're infrastructure to sending you the latest episodes. Most podcast listeners are unaware of the existence of RSS as a technology, because it's completely invisible and they don't really need to know about it. It all works seamlessly in the background. For some more information on how FeedPress works with respect to RSS feeds, please read our FAQ on that. Do you need RSS analytics? RSS analytics are a specific means of measuring reader engagement. 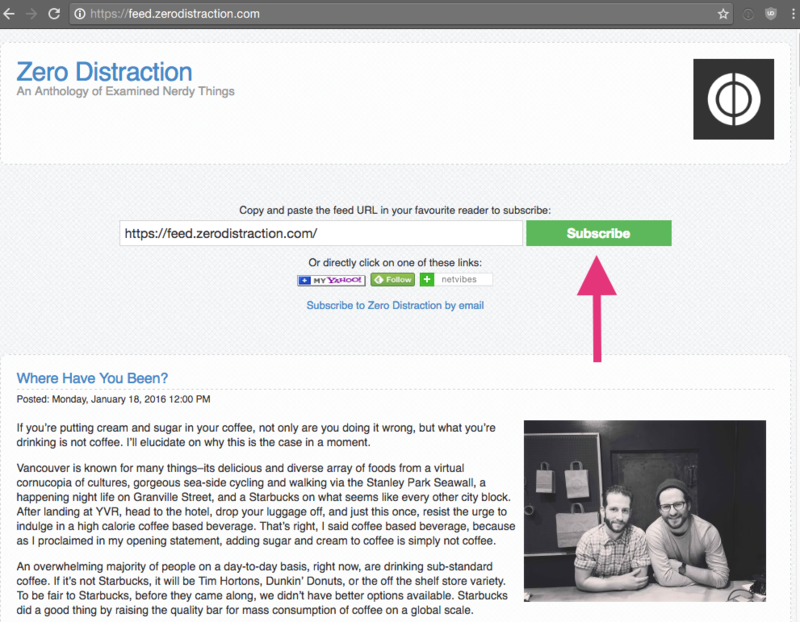 For example: when a reader subscribes to your blogs RSS feed, they become a subscriber. A subscriber counts as 1 subscriber in your FeedPress analytics dashboard. Why do you want to know this? As a writer, it's nice to know you're being read and are growing a loyal audience. In the illustrated example below? You can see how FeedPress makes it easy for someone to subscribe to your RSS feed in a web browser.